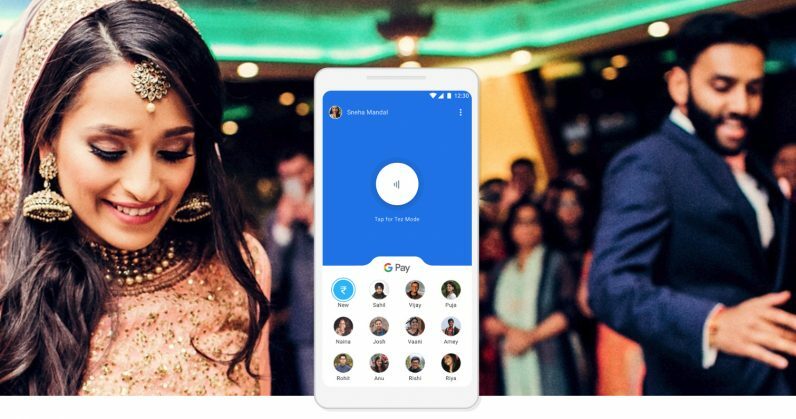 Last September, Google launched Tez, an app for instant money transfers in India. At its annual event in the capital of New Delhi, the company announced it’s rebranding the app to Google Pay. That means it’s unifying its global payments services with what it’s built for India. Tez is based on UPI, a platform built by a consortium of India-based banks that allows for on-demand transactions between bank accounts used by individuals and businesses. The company stressed its ongoing efforts to help digitize payments by announcing upcoming support for Google Pay in more than 15,000 retail stores across the country by the time the festival of Diwali rolls around in early November. That includes the likes of Big Bazaar, FBB, and eZone. In addition, Google Pay will enable users to avail of pre-approved bank loans through the app; the company says it’ll only take a few seconds to enter the desired amount, choose repayment terms, and receive the money in their bank accounts. It’s partnered with Federal, HDFC, ICICI, and Kotak Mahindra Bank to make this happen, and the feature is slated to roll out in the next few weeks. For people in other countries, Google Pay allows them to ditch their cards when paying for stuff in brick-and-mortar stores, as well as online transactions. In India, Tez has been about negating the need to carry cash and sharing bank account details for transferring money. With this move, Google is hoping it’ll be able to get more users hooked to its payment services, leave their wallets and purses at home, and serve up oodles of data about what they’re buying. It’s worth noting that the UPI platform is free for users and companies that build payment apps on top of it – so Google isn’t making money on transactions conducted through Google Pay. There are numerous other apps available to do this – including the Indian government’s own UPI app, digital wallet Paytm, and WhatsApp’s built-in system for peer-to-peer payments (but WhatsApp is facing trouble getting it off the ground). So naturally, Google’s had to work hard at getting people to use its app instead of the bevy of options out there – and it’s achieved that by allowing transactions without needing people to share bank account info, view and pay utility bills, and message other users right within the app. To make money, it’ll likely harvest and sell data about consumer behavior to advertisers, and upsell certain services to businesses who want to interact with customers. To that end, it’s testing a dedicated merchant experience that will allow small businesses to not only receive digital payments, but also make it easier to communicate offers and news to customers, and list themselves on Google Search and Maps. The company said it already has 1.2 million small businesses on its platform, and it’s now trialing its merchant experience with a small number of them in New Delhi and Bangalore. Google noted that 22 million people and businesses are presently using Google Pay in India; with 750 million transactions logged since launch last year, it’s looking at an annual run rate of $30 billion in transaction value across the country. With that, Google is poised to play a major role in the way people spend money in India. Caesar Sengupta, the company’s General Manager for Payments and Next Billion Users project, noted that its next steps involve building deeper partnerships with domestic banks to offer more functionality through its app, and to take its learnings from India to other countries. Update: A Google spokesperson said that the company won’t sell data to advertisers, and that it won’t charge businesses a fee to interact with customers.